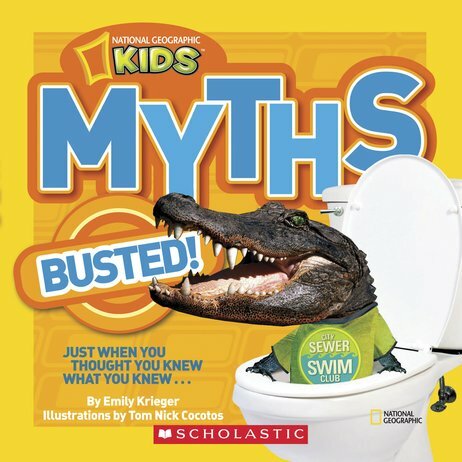 National Geographic Kids: Myths Busted! Wacky urban legends busted by the maestros at National Geographic. Don’t be fooled by fake facts. Become a king of knowledge! Did you know fortune cookies aren’t even found in China? Or that alligators don’t really live in the sewers of New York City? Stuffed with colour photos and funny stuff to learn, here’s proof that you can’t believe all the things you hear. So next time someone tells you the average person swallows eight spiders each year, don’t tell them they’re as dumb as an ox — because oxen are actually quite smart.